The Wildcats couldn’t have been more emphatic on Friday night at RAC Arena, beating United 96-67 to take a 2-1 series lead ahead of Game 4 at Melbourne Arena on Sunday. That gives Perth the chance to become the first team since the New Zealand Breakers of 2013 to celebrate clinching a championship away from home, but also with the knowledge if they come up short they will host Game 5 back at home next Sunday. 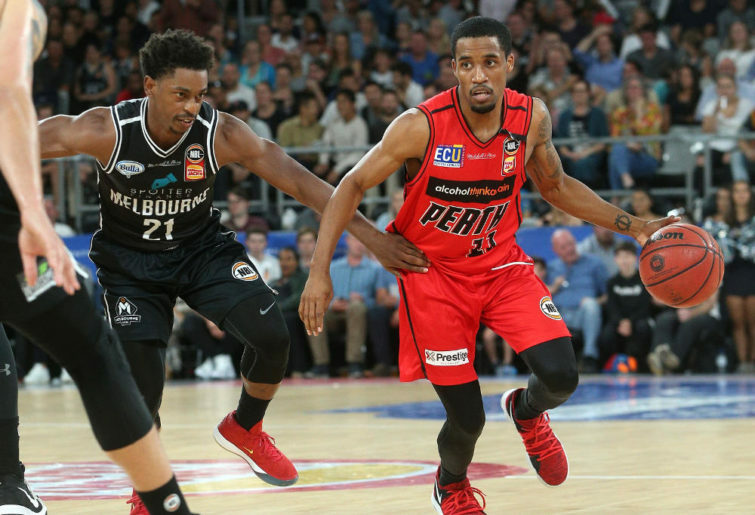 Perth has won an NBL record eight championships but their last seven triumphs have all been clinched on their home floor after they won the club’s first championship in Brisbane in 1990. While they have won championships at Perth Entertainment Centre, Challenge Stadium and RAC Arena, it’s all been done in front of their adoring home fans. Given the momentum built by the ‘Cats in Friday’s win led by a season-best 31 points from Terrico White on 7/10 shooting from three-point range with Bryce Cotton dishing out nine assists and captain Damian Martin back to his stifling defensive best, they are going to take some stopping. Perth’s win on Friday meant that 32 of the past 35 grand final games have been won by the home team, but Sunday looks a genuine chance for the Wildcats with the confidence they gained on Friday and with just how much Melbourne has to turnaround. It was a night to forget for United, particularly for their much-vaunted backcourt of Chris Goulding and Casper Ware. They shot a combined 5/26 from the field and 2/15 from three-point territory with Martin’s defence a significant factor in that. Given how efficient Perth was with 25 assists on 32 made field goals and a grand final record 14 three-pointers, it wasn’t the time for Melbourne to shoot 35.3 per cent from the field and 14.8 per cent from downtown. This is only the ninth NBL grand final series to be decided in a best-of-five format and of those, three were 3-0 sweeps, one was decided 3-1 and the other four have all gone to a deciding Game 5 – including last year with Melbourne beating Adelaide with the home team winning each contest. Only once has a team ever come back from trailing 1-2 to win an NBL championship and that was back in 2004 when the Sydney Kings won Games 4 and 5 to secure the crown. So while the team that won Game 3 has won the last seven best-of-five series, at least there is a precedent for Melbourne to cling to and their four-time championship-winning veteran David Barlow has firsthand knowledge of it. Barlow was part of that Kings team in 2004 that came back from losing Game 3 to win the championship and now he’s desperate to help Melbourne do the same to give him the fifth title of his 271-game NBL career. Following Friday night’s loss in Perth, Barlow quickly turned his focus to what would be required to win on Sunday at home to force the Game 5. “It’s just the nature of a finals series, there are emotional highs and lows,” Barlow said. “Last game we were obviously pretty happy with ourselves but pretty quickly your attention turns to the next one and if we had won this game, I would say that I was ecstatic but automatically my attention would be on the next one. Barlow can’t wait to play in front of the Melbourne crowd again on Sunday after United had reason to feel hard done by with some of the calls, and non-calls made on Friday night in Perth. With a 29-point margin, nobody is suggesting the referees had a bearing on the end result, but there was a definite feel that the calls were in favour at crucial times and on 50-50 calls of the home team. It was a similar case in the opening two games as well and the numbers do back it up with Melbourne called for 23 fouls to Perth’s 16 despite the physical and tenacious defence the Wildcats played at one end, and the physically strong screens set on the offensive end. Barlow was coy in what he said, but still got his point about his thoughts on the officiating on Friday night across. “Playing in front of our fans, I love doing that and obviously the game here definitely had a different feel to it. Full credit to Perth, their defence was unbelievable and they made shots, but it definitely feels like the game was played in a different way out there,” he said. In the lead up to Friday’s Game 3, Perth coach Trevor Gleeson came out swinging accusing several Melbourne players of accentuating contact in a bid to draw calls in their favour. It seemed a rich comment from a Wildcats coach given it is the exact thing the opposition has felt the ‘Cats have been leaders at for a long time now, and it was an assertion that Barlow felt strongly in opposition of. “I disagree with that and you would hope that it’s not read into at all and that the game is played the way it’s seen without anyone thinking about those things. I personally disagree with those comments,” Barlow said. As for United coach Dean Vickerman, he is just looking for his team to shake off what happened on Friday night, not worry about the margin and come out ready to go on Sunday because if they don’t start well, there might be no recovery. “The message to the boys is that whether you lose by one or by 30, it’s a loss in the playoffs,” Vickerman said.